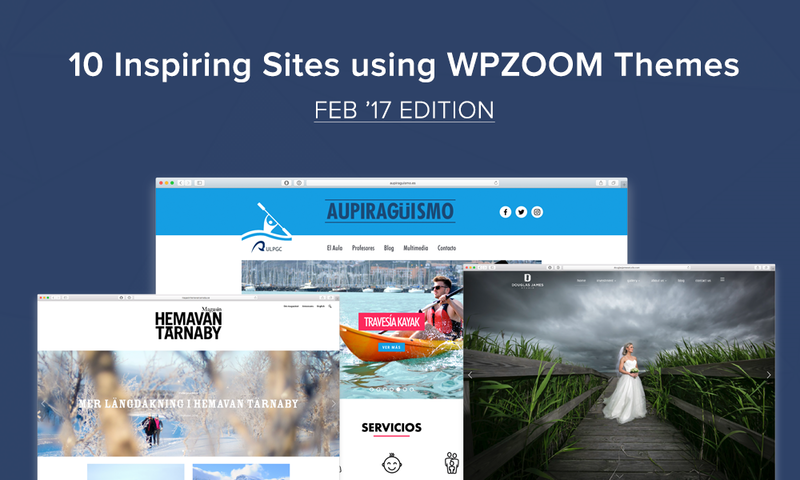 Another month, another awesome selection with the websites from our dear customers! 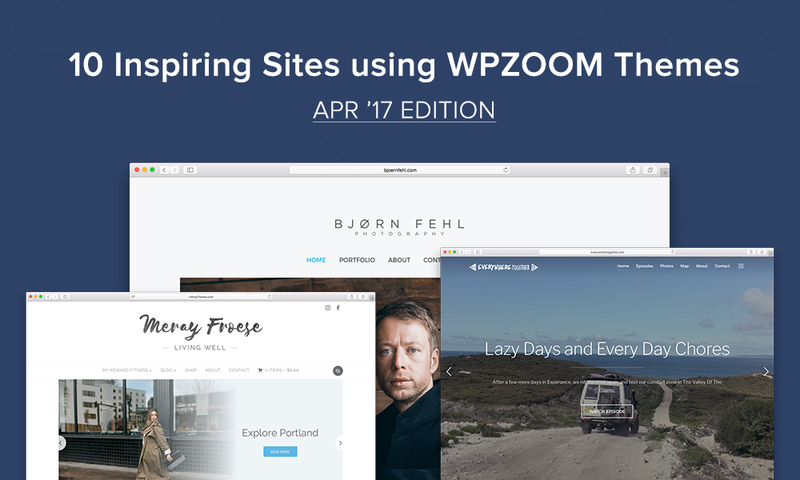 April brought some very nice examples of portfolios, travel blogs, communities supporting women and other websites for your inspiration. 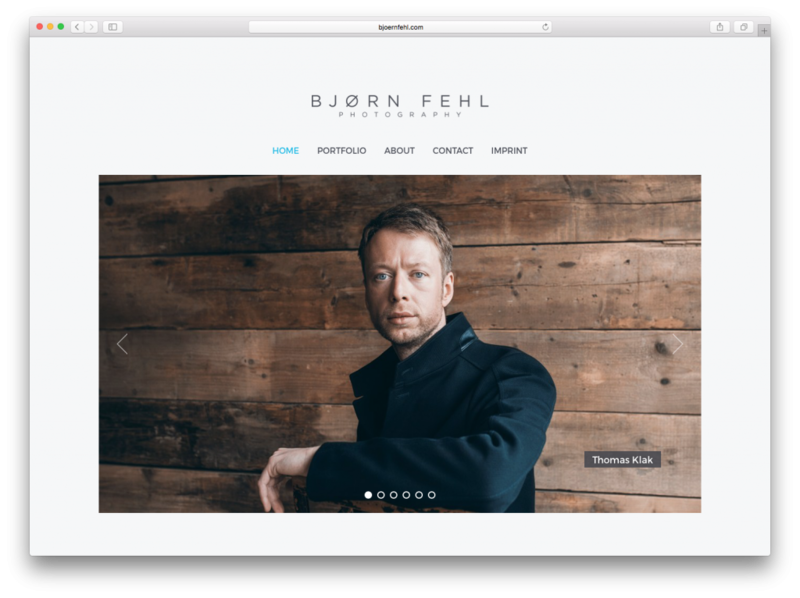 Bjørn Fehl’s portfolio is, definitely, a very good example of less is more. A simple design that enhances the photos is exactly what a photographer needs. Great impact with a minimalist look — this is what our Eclipse theme is about. RightBrains is a platform that aims to inspire, connect and develop talented women with passion for digital technology. Since it’s related to digital, it’s a must that the website offers the best user experience. 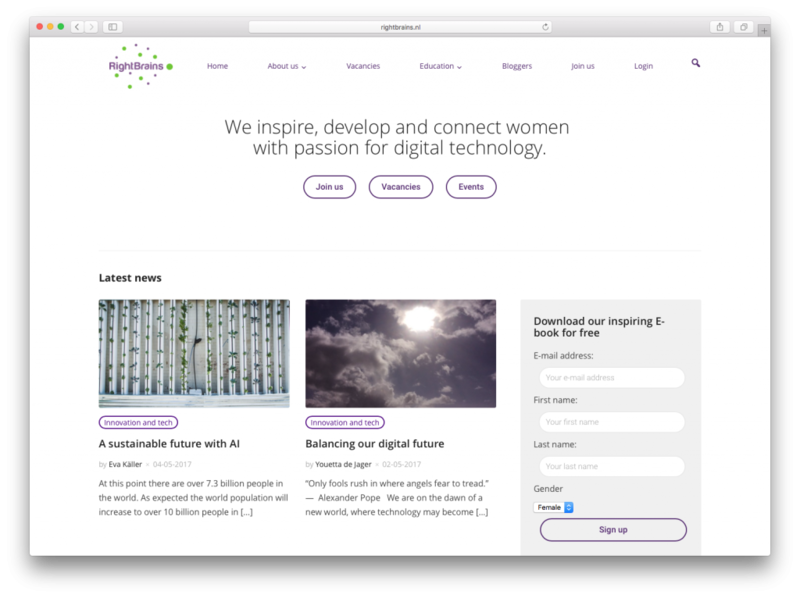 Our Insight theme meets all of these expectations and delivers flexibility with its wigdetized layout. 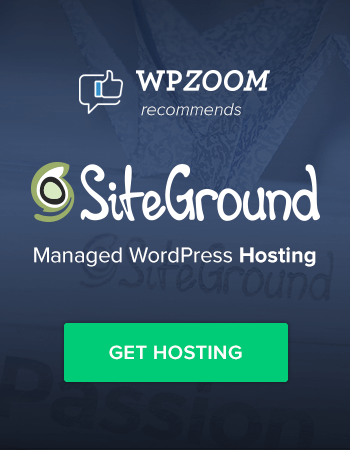 The website uses a slightly customized version of the theme: the slider was replaced with a straight-to-the-point heading and call-to-action buttons. 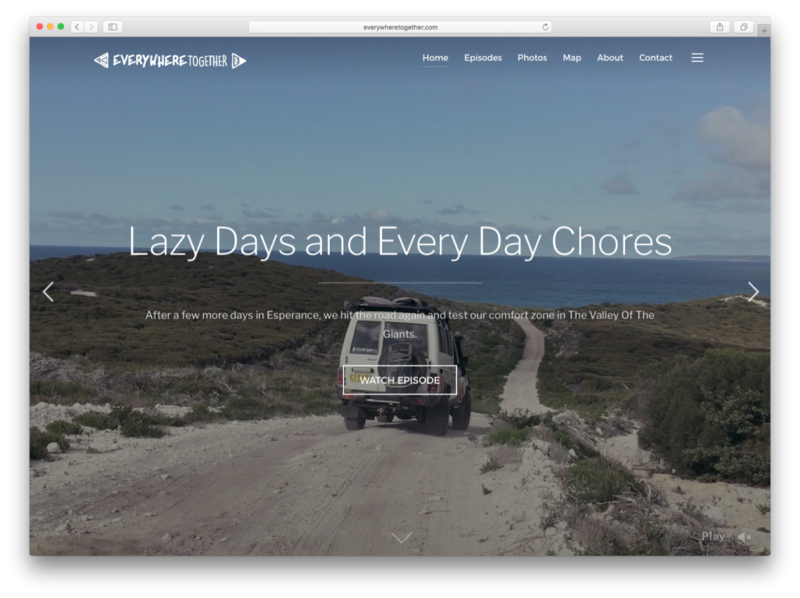 In our search for this month’s websites selection, we came across this lovely Inspiro-based travel blog of Sandra and Peter — an adventurous couple always on their way to exploring Australia. Since their main type of content is video episodes from their travels, the video slider of the theme is just on point. Also, they’ve successfully integrated all of their YouTube videos with the blog section, thus linking their channel with the website. Women’s Independent Film Channel is an online platform made to provide a space for women filmmakers to discuss and share their work. And when you say video content, you say VideoBox. The website uses a standard and simple layout of the theme, with slightly changed colors. 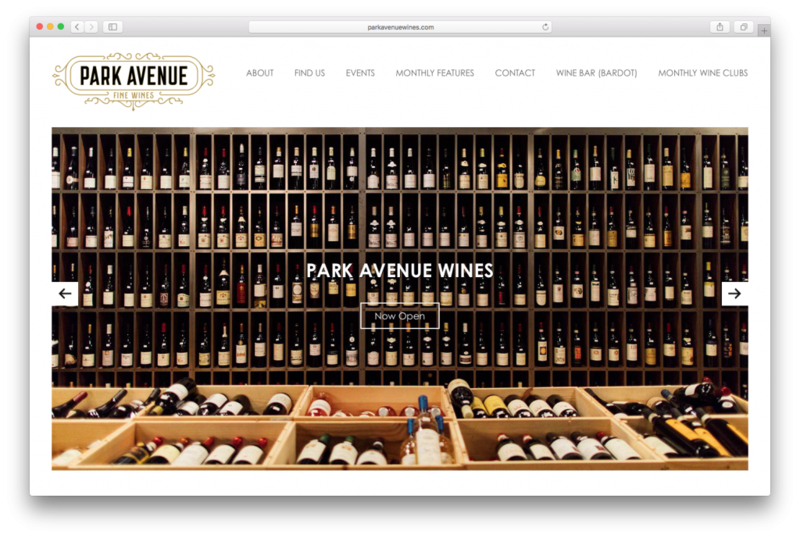 Park Avenue Wines is a wine shop and bar from Portland and its online presence is marked with a website based on our Angle theme. A nice thing to notice is how a template intended for portfolios can be used for a small business presentation website. The clean layout of the website offers just enough details and information one would need to know about the shop. This lovely website of Meray Froese incorporates all of the best features our theme Foodica has to offer. At the first sight, it looks like a simple blog, but it’s actually more than that. 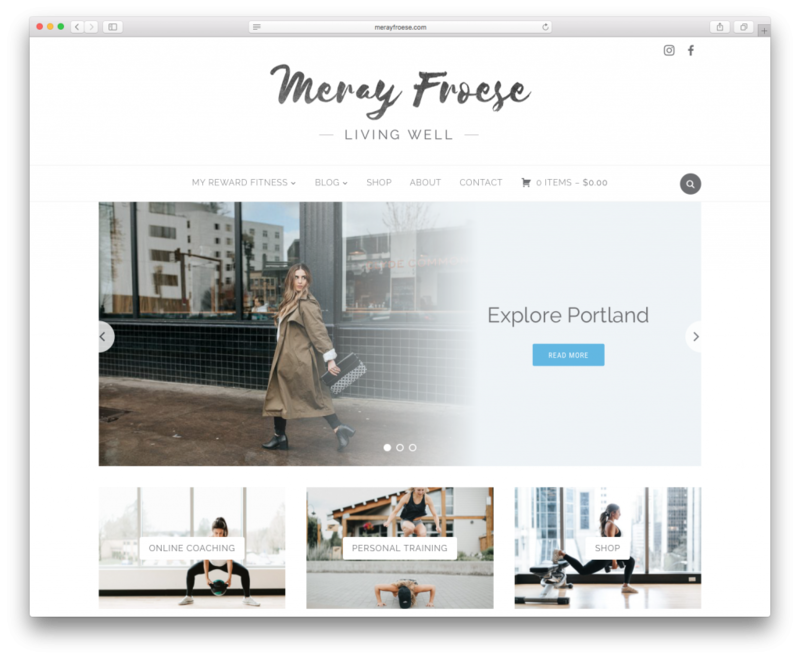 Being integrated with WooCommerce, it’s a complex website made to promote and sell fitness trainings, without skipping the blog section where Meray writes about health, fitness, fashion and travel. 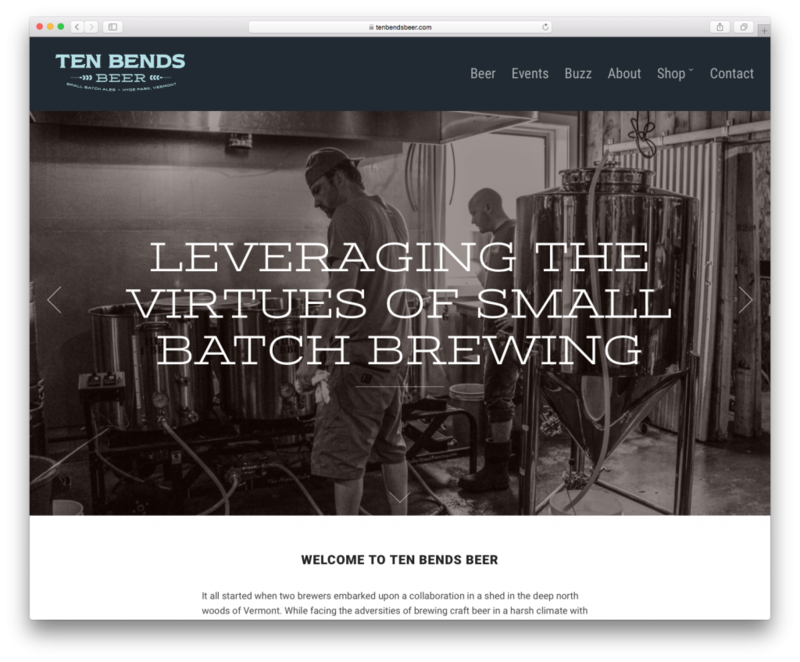 Ten Bends Beer is an artisanal beer brewery based in Vermont. Even though our Delicio theme is a bit underrated, it seems to be a very good fit for this small business website by including a detailed homepage presentation, a blog, and even an integrated shop. 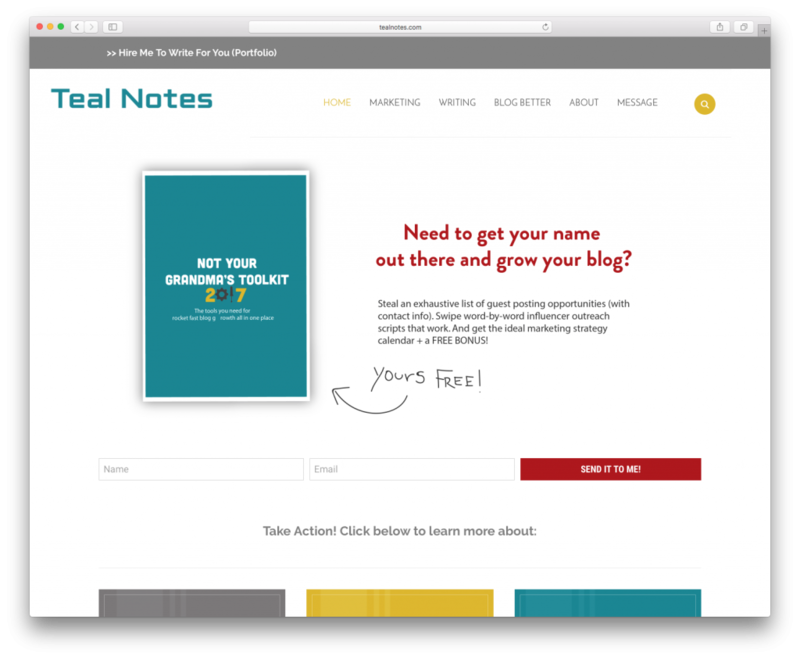 Teal Notes is another very good example of how you can use Foodica for a non-foodie blog. This time, it’s a blog about blogs — made to help anyone get the best out of their blog, improve its usability and write attractive content. Vivian, the writer of Teal Notes made great use of the features of the theme. Also, she managed to replace the slider with a big subscribe field that instantly grabs the attention of any visitor of the website. Practice what you preach, they say! So much green from the Agriculturers website! It’s an online community with a strong intention to become the world’s largest network of agricultural specialists. Since it contains lots of articles and researches, the content has to be arranged in a compact way and be user-friendly. Like always, our Domino Magazine is on duty for these kinds of purposes. 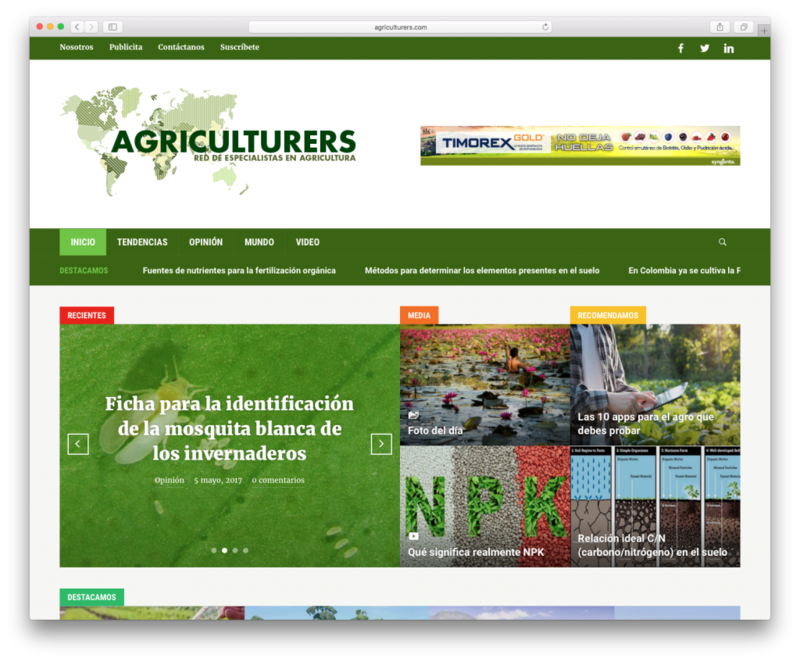 As a result, it’s a well built online magazine with lots of types of content which looks concise and catchy, especially for those involved in the agricultural field. Since food blogs are a big trend right now, we could not skip adding at least one example to this month’s selection. 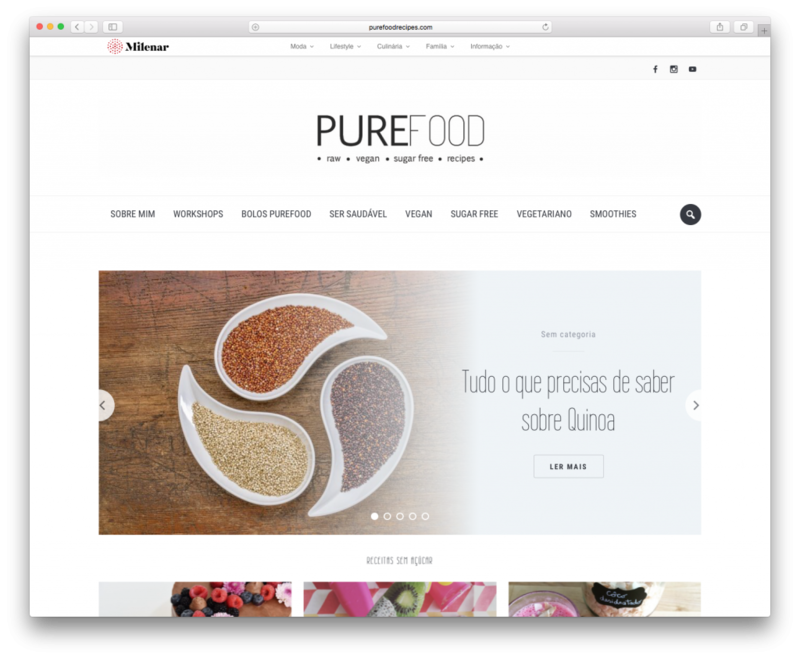 PureFood is a recipes blog that encourages eating healthy food and promotes a balanced lifestyle. Even though the blog is using a basic Foodica layout, it’s a perfect example of how changing the font of the headings can make the entire website look different. Have you picked your favorite from this month’s selection? Let us know in the comments. 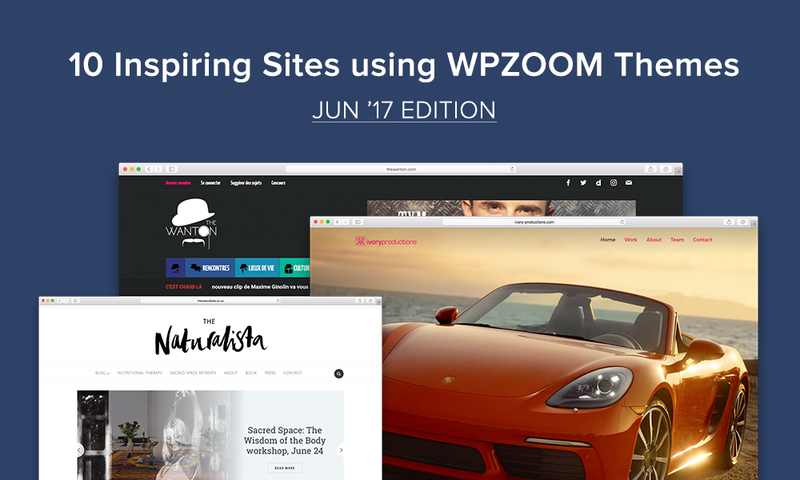 If you also have a beautiful site created using a WPZOOM Theme send us an email with a link to your website, and we’ll feature it in our Showcase. 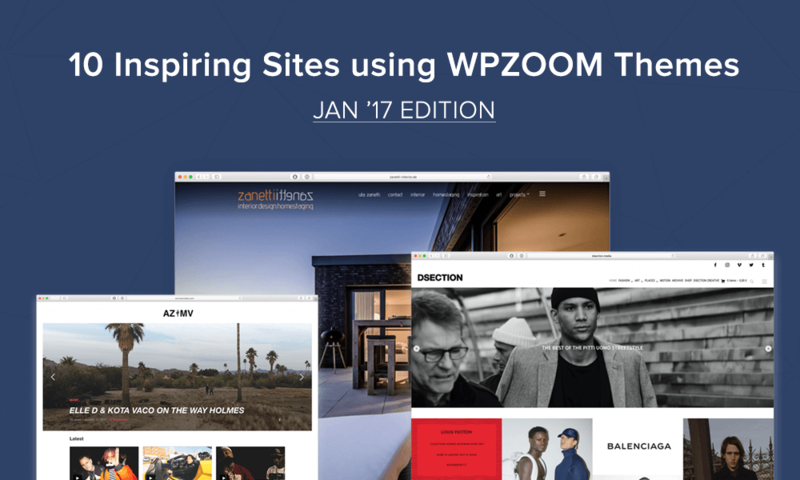 We frequently post new websites on Instagram, so if you’re seeking for some inspiration, make sure to follow @WPZOOM! Thanks for sharing this list of website.